Edinburgh indie-punk stars The OK Social Club release their third EP, 'That Howden Sound' on on 19 June 2010. The EP will be free on the night of the launch gig at Cabaret Voltaire, tickets are £5 and available now from the Royal Mile Tavern or from the band. 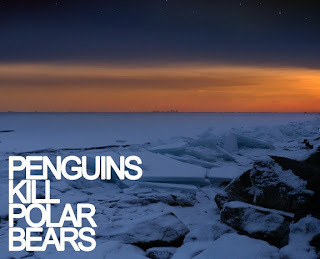 On the same night, Linlithgow based Penguins Kill Polar Bears are set to release their debut EP, 'Dawn', with a 19 June 2010 launch gig at Sneaky Pete's, followed by an EP launch tour across Scotland. Leith Festival runs from 11 - 20 June 2010 this year. The festival, which celebrates all that Leith has to offer, is a community arts festival that encompasses all art forms, including the theater, dance, comedy, and of course music. Some of the highlights of the festival include Leith Sessions @ The Granary and Colossal Sessions Leith Music Festival at The Yard, both showcases of Edinburgh's best unsigned music. Inverness's goNORTH starts this week. The event combines numerous seminars, workshops and live showcases in several city centre venues, catering to everyone from musicians in their first band to seasoned industry professionals. All events are free. Edinburgh's own music industry meet-up Born to Be Wide is hosting some of the event's seminars. Among the topics to be covered by the Born to Be Wide seminars are music management and how to get your music used in film, television and adverts. There will also be panels on how to make the most money from music with little additional work and a discussion featuring artists who take care of their own booking, releases and promotion. Fringe events start tonight Wed 9 June 2010, and the main events, including those hosted by BtBW, run Thurs 10 June and Fri 11 June, as do the evening band showcases. Edinburgh Mela Festival 2010, Scotland’s largest celebration of cultural diversity through arts and culture is back to deliver yet another full on programme packed with dance, music, theatre, circus, crafts, fashion and food! The festival takes place August 6-8 at Leith Links, Edinburgh. Tickets cost £2 in advance from the Edinburgh Mela website, and £2.50 on the door.